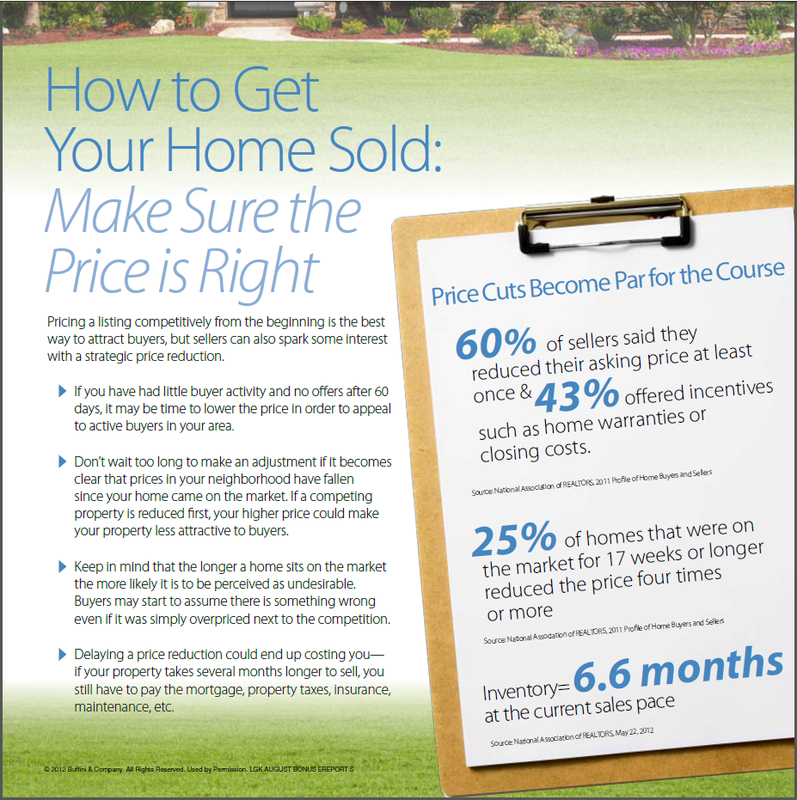 Pricing a listing competitively from the beginning is the best way to attract buyers, but sellers can also spark some interest with a strategic price reduction. If you have had little buyer activity and no offers after 60 days, it may be time to lower the price in order to appeal to active buyers in your area. Don’t wait too long to make an adjustment if it becomes clear that prices in your neighborhood have fallen since your home came on the market. If a competing property is reduced first, your higher price could make your property less attractive to buyers. Keep in mind that the longer a home sits on the market the more likely it is to be perceived as undesirable. Buyers may start to assume there is something wrong even if it was simply overpriced next to the competition. Delaying a price reduction could end up costing you— if your property takes several months longer to sell, you still have to pay the mortgage, property taxes, insurance, maintenance, etc. 60% of sellers said they reduced their asking price at least once & 43% offered incentives such as home warranties or closing costs. 25% of homes that were on the market for 17 weeks or longer reduced the price four times or more. © 2019 The Dunn Realty Group.